The boy Laddy Merridew, sent to live with his grandmother, stumbles off the bus into a small Welsh mining community, where he begins an unlikely friendship with Ianto Passchendaele Jenkins, the town beggar-storyteller. Ianto is watchman over the legacy of the collapse many years ago of Kindly Light Pit, a disaster whose echoes reverberate down the generations of the town. As I said on my Amazon review, "... I finished The Coward's Tale this afternoon and I think it astonishing... It is a poem, it is stories, it is a novel, it's a song, it is about death, life, family, tragedy, history. It is about the power of story and the telling of stories and what that does for the individual, for the community, for those who have experience great loss and are trying to rebuild and move forward. For me it had echoes of the Holocaust. 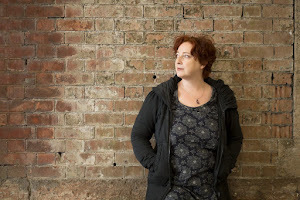 And the way it all came together was immensely powerful..."
Vanessa: I am sitting up in bed in my bedroom at home, in a small group of similar houses in a village called Ringmer, in East Sussex. I have somehow managed to live in the south east of England all my married life - it is not where I would choose to live, if there were no constraints - but my husband’s work was here - a family dental practice. The bedroom has just been painted, and everything smells of new paint. The walls and cupboards are cream - it’s a bit like sitting inside a gigantic meringue. I am here becaue I’ve managed to get a fluey thing. Pathetic, huh? Sitting in bed, all day. In this house, thirteen years. In the south east of England thirty-six years, if not a bit more. That is, we’ve been wed thirty six years - before that I lived in London for a while, working for the Ministry of Defence, in the mid seventies. Then I commuted to town from Brighton. It was a good thing the railway line started and stopped at the stations I used - I slept most of the time. I remember one bloke went to sleep on the last train after a Christmas party, and woke up in a siding. He had no idea where he was and stayed on the train until someone came the next day. V: My writing has always been other than the realities of how and where I live. It is just an extension of how I was as a child - dreaming, imagining, escaping. Why escape to the house next door with people who mirror the neighbours? How boring is that? No disrespect to my neighbours, who are great - its just what goes on in my head is far more interesting to me than what goes on outside the window. I am not drawn to write about people whose lives are comfortable, thank you very much - as mine has been. There are no stories there. The only way I have used my own life is in exploring the issues of displacement, otherness, adoption, abandonment, and this I did in many short stories. And latterly, in recreating the streets of Merthyr Tydfil in south Wales, whilst writing The Coward’s Tale. My memories of staying every holidays with my grandmother in Twynyrodyn came back so clearly - a real help in creating the places in the novel. Merthyr was not a wealthy community back then, and it is less so, now. My grandparents were fairly typical - one grandfather was a miner then a steelworker, and the other worked on the railway. They both died within a few days of each other, far too early. Life was hard. 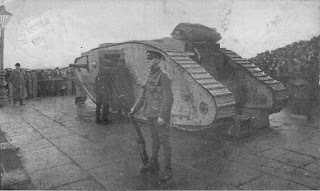 My father and mother were both born just after the First World War - my father recalled seeing the soldiers parading up the High Street when the war ended. He was four. He remembered playing as a boy on an old tank that had been used as a war fundraiser, in Thomastown Park. And he remembered nicking coal from across the valley with his father, and piling it into his toddler brother’s pram to wheel home in the dark. T: How do you think where you are and where you've been affects what you write about and how you write? V: Hmm. Now, I like places that are not hugely populated, which are remote. Quiet corners of Wales, the West Country, Ireland, Scotland. Some of the best places I have been to - Antarctica, South Georgia, Spitzbergen, Iceland - are empty in large parts. I would go back to those places tomorrow - and you’d find it hard to persuade me to visit teeming cities for any length of time. I like to hear myself think. You really can’t get much more different to the bustle of the south east. Perhaps that attraction - (which has always been there) has crystallised into the need to get away to write. To get away to a place where I can be quiet for days, weeks at a time, lost in my own imaginings. Where I do not have to dredge up polite conversation, make endless compromises, or have to decide that I can afford to spend only three hours writing before doing the ‘real’ jobs that make the world go round, allegedly. I am an unfriendly beast, really. And as I am happier ‘on the edge of things’, looking back in, so I am drawn to write about characters who are also on the edge of things. I want to know why - but I understand them, at base. Maybe when you are given away as a baby, you are consigned to the edges no matter how happy your adoption is. I don’t mind in the least - its far more interesting there, looking in from the outside. 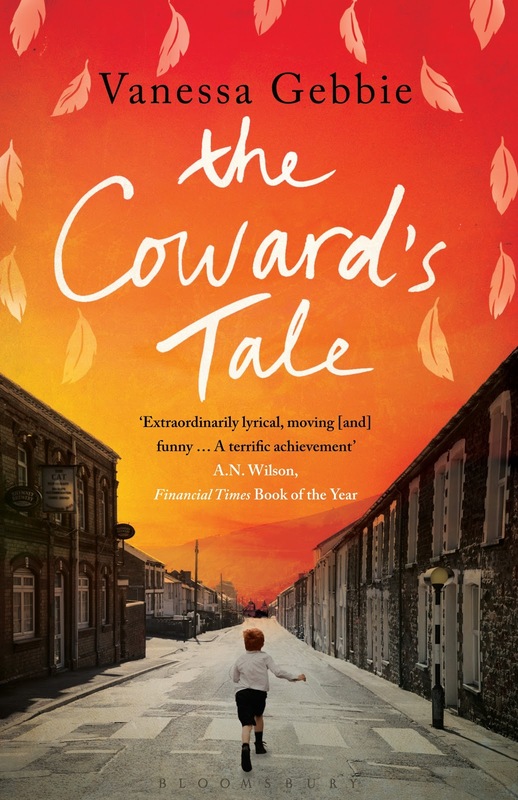 In The Coward’s Tale, there are several outsiders - old Ianto Jenkins, the beggar, ‘The Coward’ of the title, who was ostracised once, but who has now earned a place to perch in the community, as storyteller. And there’s Ieuan (Laddy) Merridew, an awkward little boy who is sent to the town to stay with his gran while his warring parents sort out a broken marriage, and who strikes up a real friendship with Ianto. Possibly the first friendship either has experienced. It is no coincidence that they are the main characters, or that I identify with them both, or indeed, that I feel I know these two the least. Well, I'd like to state that I am an "unfriendly beast" too, that's probably what all us writers need to be otherwise we'd be socializing too much to write! Thank you, Vanessa, for this insight both into the book and your life, and for the fabulous images. I urge you all to get hold of a copy of The Coward's Tale (link goes to the Book Depository, with free worldwide delivery), which is published by Bloomsbury, and find out more about Vanessa's writings and activities on her blog. Amazingly she is defying the laws of physics today (or perhaps becoming a quantum particle) by being in three places at once - catch her over at Claire King's blog and Sara Crowley's blog - and tomorrow she is further afield! Thanks for coming, V.
Sometimes I wonder how I get so lucky. I mean, look at this amazing line-up I am honoured to be part of at tomorrow night's Poets versus Proseurs event at the wonderful Not the Oxford Literary Festival! and the fabulous Dan Holloway will be MC! I'm one of those wavering between prose and poetry - a kind of prosette, perhaps? - I'm going to let the audience judge for themselves what it is I'm reading, mostly from my forthcoming collection, My Mother Was An Upright Piano: Fictions (published May 3rd, did I mention that??!). Do come along if you're nearby! Entry is £2 all proceeds support The Albion Beatnik bookstore, which is where the event is, kicking off at 7pm. If you are on Facebook, more information here. Can't wait! 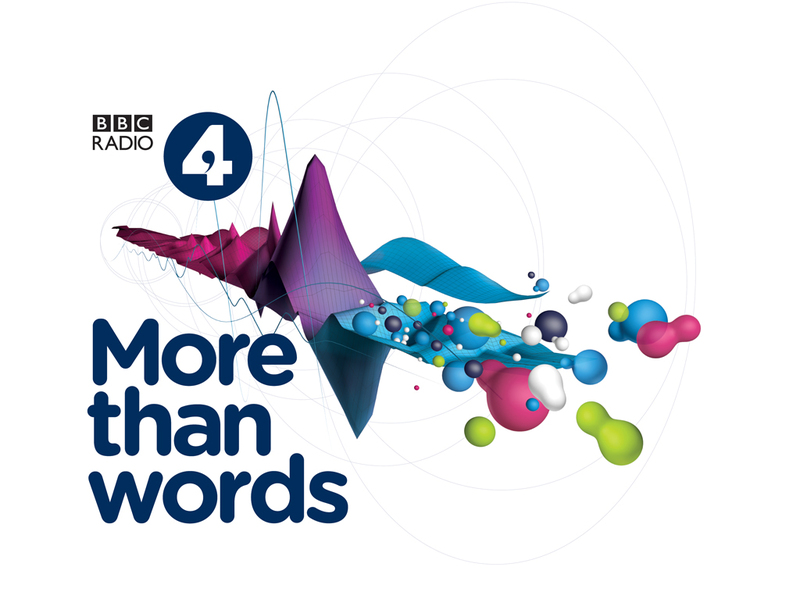 I had a brilliant time yesterday afternoon taking part in the Radio 4 More Than Words "listening festival" in Bristol! 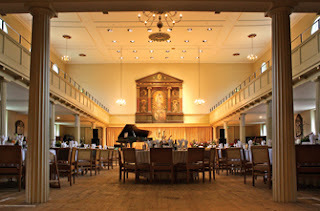 I was one of three local writers invited to create "short stories with sound" which we - me, Edson Burton and Paul Mundell (reading Tim X Atack's story) - then read, with sound effects provided by the amazing Radio 4 sound team, at the gorgeous St George's, in front of a live audience, and were recorded for broadcast. It was a really interesting experience being asked to create words with sounds in mind. I ended up - as is my wont - not writing one 15-minute story by 3 very short stories, each one quite different but all in some way inspired by science (as is my wont), under the heading "Reality Check". I found that thinking about sound effects really added to the writing of the story - I could use the sounds as shorthand, make them really work hard, not just be gratuitous. I hope that what I wrote will work as "just" words on a page, but I really enjoyed having my senses stretched. Reading them with the sound effects was also wonderful. I have to say, I do love being on stage, especially in such a glorious venue (see above) where we've been to hear a wide range of live music - and Margaret Atwood! Once you get me up there, under the lights, I don't actually want to get offstage. Two of my 3 stories were supposed to be funny, but you never really know until the reading, and the audience giggled in places I hadn't expected. For me, there's almost nothing better than making an audience laugh, I love it. You'll be able to hear me reading the stories - and, I hope, some of the audience's giggles - on Radio 4's (one remaining weekday) Afternoon Reading programme on Friday 13th April (auspicious??) and on iplayer for a week following that, I imagine. I will give you a link when it's available. I've had several stories on Radio 4 but this is the first time they've allowed me (nay, paid me) to read them myself, and it seemed to go down well so maybe they'll allow me to do it again! Thank you to our fantastic producer, Sara Davies, and to my fellow writers, Edson Burton (whose story, Hood, will be broadcast the Friday after mine) and Tim X Atack, whose story Birdsong Man you can hear the week before mine. One of the most prestigious short story comps around (yes, I am biased!) 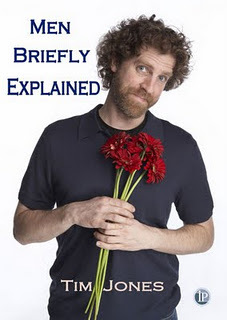 Stories up to 3000 words - can be much shorter (was won by a 300-word story a few years ago). Entry fee: £7. Prizes: £1000 + £150 Waterstones gift card/£700 + £100 Waterstones gift card/£400 + £100 Waterstones gift card. Winner and shortlisted published in the prize anthology. Enter here. Stories up to 5000 words. Entry fee: £10 for 2 stories and includes a copy of the next issue of the excellent SHORT Fiction lit mag. Prizes: £500 + publication, 2nd prize £100. Enter here. We are looking for flash-fictions of between 150 and 500 words (not including the title) from UK writers only. They can be in any style or genre but we want you to use only a single word for the title and this word should be the prompt for the piece or indicative of the story's theme. You may submit a maximum of two pieces. Stories should be emailed as .doc, .docx or .rtf attachments. Please put your name, the title of the submission and your address (for proof of UK residence) into the body of the email. Email your entries to nffdanthology AT gmail DOT com. Stories should be previously un-published (except maybe on a blog for the purposes of workshopping) and no simultaneous submissions, please. The deadline for submissions is 23.59 on Tuesday 10th April. Any submissions received after that time will not be considered. If you are included in the anthology you will receive a free copy of the e-book edition plus a chance to buy a copy of the physical edition at a greatly reduced price. Yes, it's all-poets and all-virtual-book-tours round here at the moment! I "met" Tim Jones when we reviewed his excellent short story collection, Transported, on The Short Review, and we e-bonded over our shared disdain for genre labels. A bit like my previous interviewee, Sarah Salway, he writes in many forms - novels, short stories and poetry, and he's here today to chat about his new poetry collection, the wonderfully-titled Men Briefly Explained. He kindly agreed to answer my Writing&Place questionnaire (illustrated with gorgeous photos, and some great Lord-Of-The-Rings-related information) and then I tacked on a question I was particularly interested in... and then he has allowed me to reprint one of the poems. I loved the book - hard to choose just one! The floor of the quarry at the top of Ellice St, Mt Victoria, Wellington. In The Fellowship of the Ring, this view is briefly shown when the hobbits look down from Weathertop at the approaching Ringwraiths. Sadly, the cage full of gas pipes was left on the cutting-room floor. TH: How long have you been there? TJ: The short answer is that I've lived in Wellington, and in this house, since 1993. The longer answer is that I was born in Cleethorpes, Lincolnshire in 1959. My family emigrated to New Zealand when I was 2 years old, on an assisted passage - we were what used to be known here as "ten-pound Poms", a term also used in Australia, which proved to be a lucky break for me last year. The back wall of the quarry above Ellice St, Mt Victoria, Wellington. It may not look like much now, but in The Return of the King, this is where Aragorn, Legolas, and Gimli enter the Paths of the Dead. Don't try to follow them, as you would bump your nose on the rocks. I grew up in New Zealand's southernmost province, Southland, went to Otago University in Dunedin, and moved to Wellington when I got together with Kay, to whom I've now been married for coming up on 18 years. All these places have left their mark on my poetry, most of all Southland. I write more types of work than is good for me: poetry, short stories, and novels. I've had three poetry collections, two short story collections, and one novel published, and I've also co-edited an anthology of New Zealand science fiction poetry, Voyagers: Science Fiction Poetry from New Zealand, with Mark Pirie. Just to make my "brand identity" even more diffuse, I write both speculative fiction (mainly science fiction, but with occasional excursions into fantasy and horror) and literary fiction. Well - literary fiction is a loaded term, so let's say "fiction that isn't speculative fiction". My one published novel is a fantasy novel. How do you think where you are affects what you write about and how you write? I think that the experience of being an immigrant, and the places I've lived since we moved to New Zealand, have had a strong influence on my writing, and that it's affected my fiction and my poetry somewhat differently. I'm not always aware of this at the time of writing, but looking back at my fiction, I see that a surprising number of my stories are about journeys and voyages, successful or otherwise - it's why I titled my second short story collection Transported - and, especially in my early stories, they are often about figures isolated in a hostile landscape. Looking from the quarry down Ellice St, Mt Victoria, Wellington, where I live. In the middle distance is the Basin Reserve cricket ground, where I first beheld Arwen Undómiel - well, Liv Tyler anyway. She was watching the cricket with her boyfriend and Théoden (Bernard Hill). Some of my poems are based on what I observe of other people and the world around me, and some on flights of imagination (intergalactic and otherwise), but much of my poetry is based in personal experience, and a lot of those take place outside somewhere: on beaches, in forests. Although I've written poems about Wellington and Dunedin, a lot of these poems return to my childhood in Southland. Looking from the top of the Ellice St quarry, where several scenes of Peter Jackson's Lord of the Rings trilogy were filmed, across the Te Aro district of Wellington, with Victoria University and the hill suburb of Kelburn in the distance. hunched against the glowing skies. Of course, these poems are also about my relationship with my father. TH: You write poetry, novels, short stories - how is the process of writing each unique? I'm starting to write poetry and finding that for the first time I can write about myself, which I can never do in fiction. Do you find this? TJ: I tend to work on one at a time, with occasional recidivism - at the moment, I'm "meant" to be working on short fiction, but my last writing session was mainly spent on writing poetry instead. Poems and short short stories are different from the others in that I can complete the first draft of a poem or a short-short story in a writing sessions (if all is going well, I can draft several poems in a session). From that perspective, writing a novel is like writing a long short story - both have to be spread over multiple sessions, but the number of sessions for a novel is rather large! I have written one published and one unpublished novel. At the moment, due to other commitments - my need to bring in enough income to the household, and also environmental campaigns I'm involved in - I don't envisage starting another novel for at least a couple of years, but I am squirrelling ideas for novels away. Beyond that, when I get an idea or look back at my ideas lists, I usually have a sense of whether this is a "poem idea" or a "short story idea", or proceed accordingly. A couple of times, I have used the same idea in both a poem and a short story, but that's unusual. leaving the core in place. Thank you so much, Tim, for such wonderful answers, pictures and poetry, it's been lovely having you! Tim Jones is a poet and author of both science fiction and literary fiction who was awarded the NZSA Janet Frame Memorial Award for Literature in 2010. Tim was born in Cleethorpes, Lincolnshire and his family emigrated to New Zealand when he was 2 years old. Tim now lives in Wellington, New Zealand. Tim's third poetry collection, Men Briefly Explained, was published in late 2011. Among his other recent books are fantasy novel Anarya’s Secret (RedBrick, 2007), short story collection Transported (Vintage, 2008), and poetry anthology Voyagers: Science Fiction Poetry from New Zealand (Interactive Press, 2009), co-edited with Mark Pirie. Voyagers won the “Best Collected Work” category in the 2010 Sir Julius Vogel Awards. With all these fascinating guests, I'm inspired to go off and write... or at least try and save up to visit New Zealand! You can read the other Writing&Place interviews here.